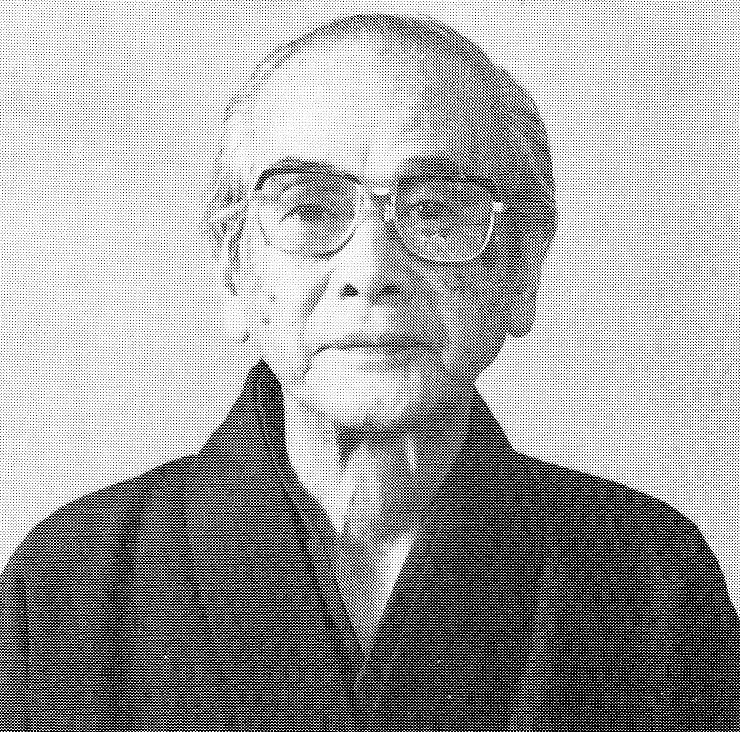 Sadaichi was born on 8 November 1907 in Ôsaka into the young but already established lineage of the revived Gassan school. His civilian first name was „Noboru“ (昇). The Gassan reviver was his great-grandfather Sadayoshi (月山貞吉, 1800?-1870) who had studied under the famous shinshintô smith and reviver of old traditions himself, Suishinshi Masahide (水心子正秀). In the fourth year of Tenpô (天保, 1833) Sadayoshi had moved to Ôsaka where he founded his own school, namely as mentioned with reviving the Gassan school from which he derived. Incidentally, the Gassan school became extinct in the late kotô period and the first later descendant who reappears in the records is Sadayoshi´s father Sadachika (貞近, 1771-1851) who lived in Sasagawa (笹川) in the Nishimurayama district (西村山郡) of Dewa province, i.e. just right where his kotô ancestors were active. However, Sadachika´s family name was not yet „Gassan“ but „Okuyama“ (奥山). It was namely Sadayoshi who adopted it as family name for his lineage. Both Sadaichi´s father and grandfather, Sadakatsu (月山貞勝, 1869-1943) and Sadakazu (月山貞一, 1836-1918) respectively, were noted swordsmiths. Sadaichi started his training as swordsmith when his grandfather Sadakazu died. He was then eleven years old and his father Sadakatsu introduced him not only into the Gassan, but also into the gokaden techniques. First he signed with the „Sadamitsu“ (貞光) and a sword with that mei was accepted (nyûsen) for an exhibition of the Ôsaka Art Association (Ôsaka Bijutsu Kyôkai, 大阪美術協会). In 1927, he and his father got a special order from Ise´s Shrine Bureau (Jingû-jichô, 神宮司庁), affiliated with the prewar Ministry of Home Affairs (Naimushô, 内務省), to forge in the following three years 68 tachi and 43 hoko to be offered to the Ise Shrine at the 58th Rebuilding Ceremony in 1933. In between, more precisely in 1929, he and his father forged Emperor Shôwa a so-called „daigenshi-tô“ (大元師刀), the sword for him in his function as supreme commander of army and navy. Pictures of some genshi-tô (元師刀, „marshal swords“) can be found here. Ten years later in 1939, he forged a tachi to support the 700th anniversary of Emperor Gotoba´s death. There was an association founded for this anniversary which held also a sword exhibition. Sadaichi, back then still under the name „Sadamitsu“, was one of 25 smiths to contribute to this exhibition. An oshigata of this blade is seen in picture 2. In 1943, Sadaichi was 36 years old, the family and school moved from Ôsaka to the city of Kashihawa (橿原) in Nara Prefecture where they erected the Gassan Nihontô Tanren Dôjô (月山日本刀鍛錬道場). Shortly later his father died, namely on 24 December 1943. Sadaichi took over the family and became also responsible for the guntô forge affiliated to the Ôsaka Army Arsenal (Ôsaka Rikugun Zôheishô, 大阪陸軍造兵廠). When the war ended two years later, he faced the same difficulties as his colleagues namely that for the time being, sword forging as prohibited. He was 38 years old and just in the prime of his life. The following year his third son Kiyoshi (清), the later Gassan Sadatoshi (月山貞利) was born. Things changed and started to improve with the foundation of the NBTHK in 1948. Only one year later namely he was already able to contribute four tachi to the next Ise Shrine Rebuilding Ceremony to be held in 1953. However, he received his now obligatory official licence as a swordsmith, issued by the Committee for the Protection of Historical Buildings and Monuments (Bunkazai Hogo Iinkai, 文化財保護委員会) in 1954 when he was 47 years old. Two years later he changed his smith name from „Sadamitsu“ to „Takateru“ (貴照). 1965 was another important year for Sadaichi and the Gassan school. It was namely when he opened the new Gassan Nihontô Tanren Dôjô in 228.8 Chiwara (茅原) in the city of Sakurai (桜井) in Nara Prefecture, zip code 633-0073. It is only about 8 km to the northeast of Kashihara and lies in idyllic setting at the foot of Mt. Miwa. You can find pictures of the forge at the official Gassan site here. If you are in the region, don´t miss to visit the dôjô and its Gassan Kinen Kan (月山記念館) museum. In the same year he took the name „Sadaichi“, in a ceremony at the close Ômiwa-jinja (大神神社) to which he also presented a tachi in this course. Important for Sadaichi was the 3rd Shinsaku Meitôten, the sword forging competition held in 1967 by the NBTHK, in the course of which he received both the Masamune Award and the Bunkachô Chairman´s Award for his copy of the famous spear Nihongô (日本号). He was already 60 years old at that time. In 1969 he made another copy, this time of the ancient so-called „Heishishôrin-ken“ (丙子椒林剣) which was intended to be a temple treasure of the Shingon sect Chikurin-ji (竹林寺) of Kôchi Prefecture. Another important year for Sadaichi was 1970. He had received by then successively the highest prize of the sword forging competion, i.e. three times since 1967. For this he was rewarded with the rank of mukansa and Intangible Cultural Property of Nara Prefecture. Apart from that he became a juror for the sword forging competition and forged another tachi for the next Ise Shrine Rebuilding Ceremony to be held in 1973. Only one year later, in April 1971 and at the age of 64, he finally received the status of ningen-kokuhô, an honour which was accompanied by an exhibition of its own at the Mitsukoshi department store of Kobe. One year later the Yomiuri Shimbun held their „Kyoshô-ten“ (巨匠展), the „Maestro Exhibition“ featuring exhibits by artists decorated with the Order of Culture, members of the Japan Art Academy, and ningen-kokuhô. Sadaichi was of course qualified and selected for this exhibition. In 1973 he held his own exhibition called „Nihontô ni ikiru“ (日本刀に生きる) and an exhibition just for him was held at the Matsuzaka department store in Ueno, Tôkyô. In the same year he received the Medal of Honor on the Purple Ribbon (Shiju-hôshô, 紫綬褒章), awarded by the Japanese government to individuals who have done meritorious deeds and also to those who have achieved excellence in their field of work. In 1976 it was again time to make another copy of the aforementioned Heishishôrin-ken, namely together with another famous ancient sword of the Shitennô-ji (四天王寺) in Ôsaka, the so-called „Shichisei-ken“ (七星剣). The copies were meant as offerings for the same shrine. In the same year the monument honouring the Gassan smiths on the grounds of the Yachi-Hachimangû (谷地八幡宮) in Yamagata Prefecture, i.e. at the birthplace of the school, was finished. Sadaichi forged for the ceremony together with his son Sadatoshi a tachi in front of the shrine. In 1978 he became chairman of the Zen Nihon Tôshôkai (全日本刀匠会), the swordsmith association of Japan, replacing Miyairi Yukihira (宮入行平). One year later the Marukatsu department store of Hokkaidô´s city of Asahigawa held another Gassan Sadaichi exhibition and he received the Order of the Rising Sun 4th class (kyokujitsu-shōjushō, 旭日小綬章). In 1980 Prince Takamatsu (高松宮宣仁親王, 1905-1987) visited his forge in Sakurai and he participated in the „Nihon no kyoshô-ten“ (日本の巨匠展, „Japanese Masters“) exhibition held by the Takashimaya department store for their 150th anniversary. The next year the Matsuzaka department store of Yamagata city held another Gassan Sadaichi exhibition and just one year later he participated in the „Ningen Kokuhô“ exhibition of the Boston Museum of Fine Arts where he was invited to set up a forge and create a sword for the exhibition. Another Gassan Sadaichi exhibition was then held in 1983 at the Ôsaka Shinsaibashi branch of the Daimaru department store, whereat the latter initiated another one just one year later for Sadaichi´s 77th birthday. In 1984 he forged again five tachi for the next Ise Shrine Rebuilding Ceremony to be held in 1993. The following year, Sadaichi offered a sword to the Gassan-jinja (月山神社) where the school once originated. 1986 he became managing director of the NBTHK and advisor for the Zen Toshô Kai. In 1988 he went once more to Boston, namely for the Gassan exhibition held again by the Museum of Fine Arts. Two years later the art gallery of the Takashimaya department store Tôkyô held an exhibition for father and son Sadaichi and Sadatoshi. In the same year he forged a mamorigatana for Princess Akishino and a tachi on the occasion of the coronation of Emperor Akihito. In 1994 he forged a tachi for the 65th Sumo yokozuna Takanohana (貴乃花) and the art gallery of the Shinsaibashi branch of the Daimaru department store held the „Ningen-kokuhô Gassan Sadaichi and his School“ exhibition, one of the last big events in his life. He died in the following year, on 1 April 1995 at the age of 87. In Showa 19 he changed his name to Sadateru 貞輝. Thank you for the additional info Chris! I haven´t found that in his bio which says “changed from Sadamitsu to Sadateru (the other teru)” in Showa 31. Do you know for how long he used the former Sadateru? Or did he change back to Sadamitsu right after WWII?